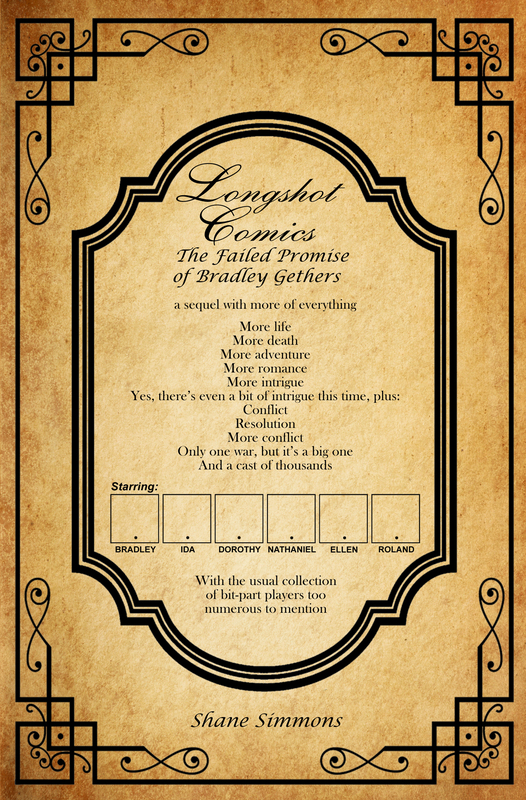 The entire Longshot Comics Trilogy is now available on various Amazon sites in paperback and for Kindle and Kindle Unlimited. Follow the links below to the dot-com pages, or head to your local-country version of Amazon to order your copies today. The classic (dare I say legendary) original epic-minimalistic comic book that started it all 25 years ago. When it first came out it shocked—SHOCKED I SAY!—the industry to its core, with many top artists wondering aloud what obsessive-compulsive madman would ever attempt such a thing. 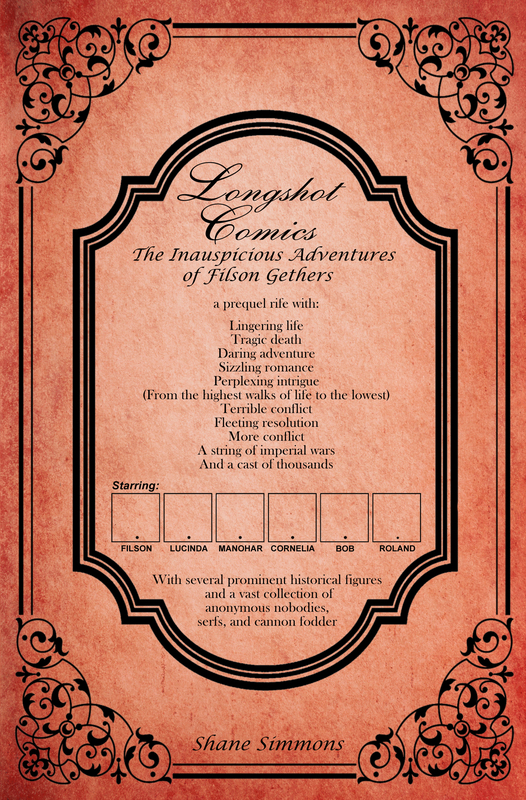 An historic comedy saga, set in the waning days of the British Empire, it told an unparalleled story across an insane format of 3840 panels. With dozens of tiny panels per page, and the entire cast depicted as distant dots, no one had ever seen anything like it. Multiple printings, editions, formats and translations followed as the book became a featured subject of lectures, academic texts, and museum exhibits around the world. Now it’s back in print at last! “Magnum Opus” was a term bandied about when it came to the original Longshot Comic. Surely even the lunatic responsible for the first book would never attempt anything of the same scope or scale ever again. Well, that opus turned out to be not so magnum after all, because several years later the sequel launched and told another 3840-panel epic tale of the Gethers family. Hailed as worthy successor, with a story that intertwined and expanded on the original, fans who missed out on the smaller print run have been clamouring to get their hands on a copy for years. Now they finally can! On this quarter-century anniversary, the long-awaited third book has arrived. A prequel to the rest of the saga, this all-new chapter delves into the earlier generations of the Gethers family, and the wild ride between high and low society that ushered them through the triumphs and disasters of the British Empire and its colonies overseas. Adding over a century of material to the epic trilogy, it is the most ambitious chapter yet and, arguably, the funniest. Whether you’re a newcomer to the series, or a long-time reader, this volume makes for an equally perfect start or end point. 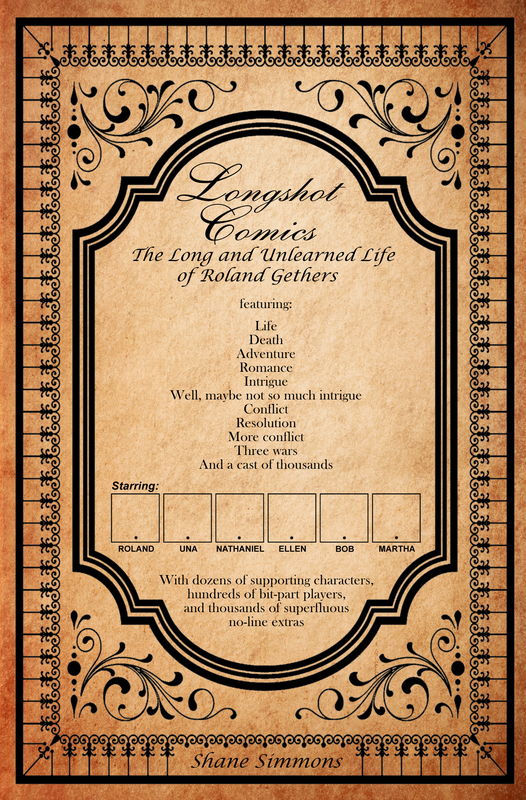 Visit my recently launched Patreon page for even more Longshot Comics material that will be rolling out in the coming days and weeks, including all the original short stories that haven’t been seen in decades.